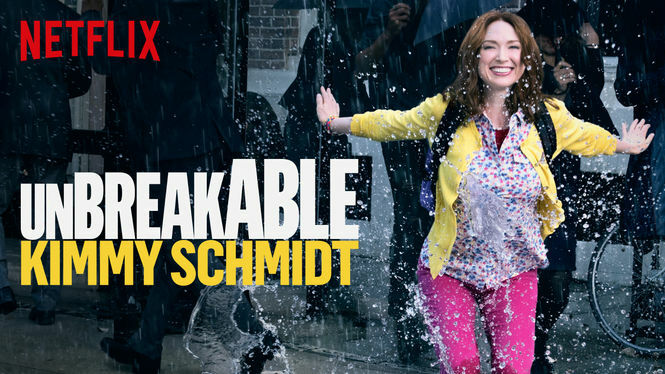 ‘The Unbreakable Kimmy Schmidt‘ is back for season 2! Well, not until April 15, but you get my gist. The series has been renewed for not just a second season, but a third, as well by Netflix. The good thing is, you have about a month to binge the first season of Kimmy Schmidt, played by Ellie Kemper, to get all caught up for the second from Tina Fey and Robert Carlock. The gang is back with Titus and Jacqueline still by Kimmy’s side as she continues her adjustment to life in NYC and she’s on the hunt for a new job and maybe prowling for a new man, at the same time. This will, undoubtedly give us a ton of new adventures to join her on. So check out the trailer and get ready for it’s debut next month! This entry was posted on Monday, March 14th, 2016 at 6:34 pm	and is filed under News, Television. You can follow any responses to this entry through the RSS 2.0 feed. You can skip to the end and leave a response. Pinging is currently not allowed. « Patrick Warburton & Neil Patrick Harris Join Netflix’s ‘A Series Of Unfortunate Events’!! !